Endorsed by the Department of Effective Parenting and the Society for Creative Solutions, this collection of Very Official Forms offers a delightfully original way to help kids communicate their deepest feelings, desires, and secrets. 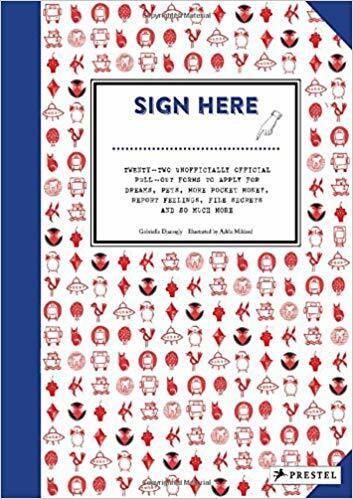 I want to share a unique book from Prestel that would make a great holiday gift: Sign Here: Twenty-Two Unofficially Official Pull-out Forms to Apply for Dreams, Pets, More Pocket Money, Report Feelings, File Secrets and So Much More (October 2018; ISBN: 978-3-7913-7297-6; Paperback $14.95; Ages 6-10; 48 pages). This book is recommended for ages 6–10. It’s hard to apologize. It’s hard to say thank you. Sometimes it’s even hard to invite someone over for a birthday party. 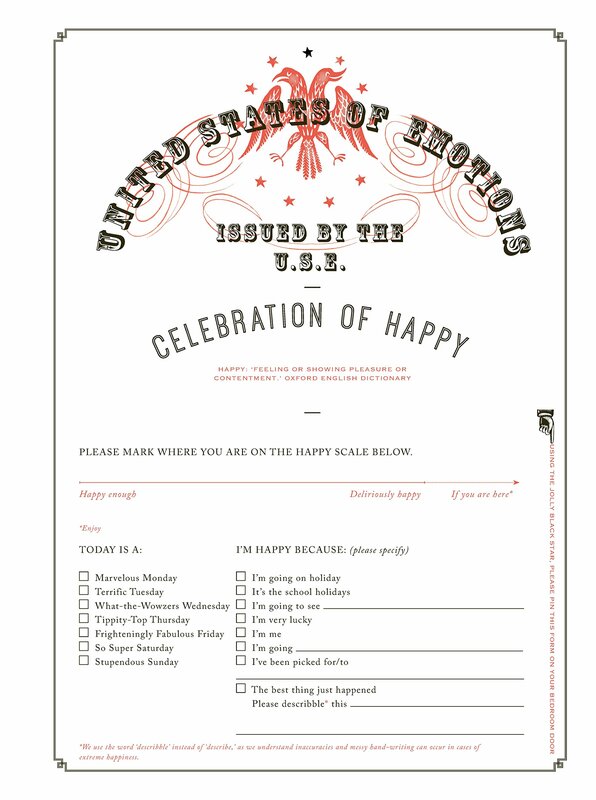 This cleverly designed, slyly bureaucratic collection of “forms” makes dealing with these childhood issues a great deal less awkward and a whole lot more fun. Issued in impressively official script and language by the Department of Regret, Remorse, and Reconciliation, the Union of Childhood Revenue, the Ministry of Dreams, and other indispensable offices, these forms help kids say some of the hard stuff: “I’ve eaten the last piece of…,” “You’re the best sister in the world,” “Thank you for buying me stuff I need,” “Thank you for buying me stuff I don’t need.” And, because it’s important to record even your most private feelings, there are forms to verify that one’s parents are, indeed, aliens; that the surprise birthday gift was not actually a surprise; that you had a really scary dream; and other conundrums not easily expressed in person. 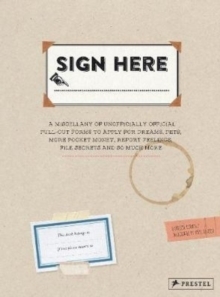 Highly adaptable to meet the needs and desires of any boy or girl, these forms can be endlessly photocopied—and of course filed away by parents and grandparents for future reminiscences and chuckles. About the Author: GABRIELLE DJANOGLY is a milliner and writer of children’s books. About the Illustrator: ADÈLE MILDRED is an illustrator, designer and milliner.